"Taking this class has renewed my desire to be a great teacher, not just a good teacher. It has expanded my thinking and made me more self-reflective." "I found suggestions for practical applications in our classrooms to be simple and easy ways to implement brain-based teaching strategies into my teaching." Examining: Teaching with the Brain in Mind is a 2 credit hour course that takes an in-depth look at brain-based teaching. Educators not only teach, they mold and develop young minds. This isn’t simply a metaphor. 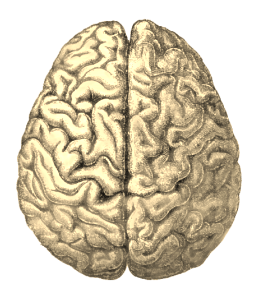 Research shows that brains are malleable and can be physiologically altered by a number of external factors. Educators play a much bigger role in the literal molding and development of their students’ brains than was once believed. Based on the work of veteran educator and brain expert Eric Jensen, this class delves into practical strategies to improve student comprehension and achievement by building on the latest brain-based learning research. By learning how the brain responds to such factors as movement, emotions, feedback, social interactions, and classroom environments, educators will be able to intentionally tap into the brain’s natural reward system, improve memory retention and recall, initiate motivation, and develop critical thinking skills. Jensen’s approach bridges the gap from scientific research to real life classroom applications, emphasizing what educators can do to develop new brain-based lessons and curriculum and improve student learning. The course is organized into 6 units and presented in a modified, self-paced format. Participants are encouraged to access the course regularly and make reasonable progress, but there are no due dates attached to individual assignments. Instead there are 2 absolute due dates (mid-term and the last day of class) to provide flexibility and to better accommodate participants' busy schedules. The length of time each unit should take to complete varies from approximately 8 to 20 hrs. Lessons will be taught using a combination of readings, external resources, videos, examples, discussion forums, activities, and enrichment materials. environment, social interactions and engagement to improve students’ critical thinking skills and memory. Required Text: Teaching with the Brain in Mind, 2nd ed. (2005) by Eric Jensen can be purchased at bookstores or ordered online.